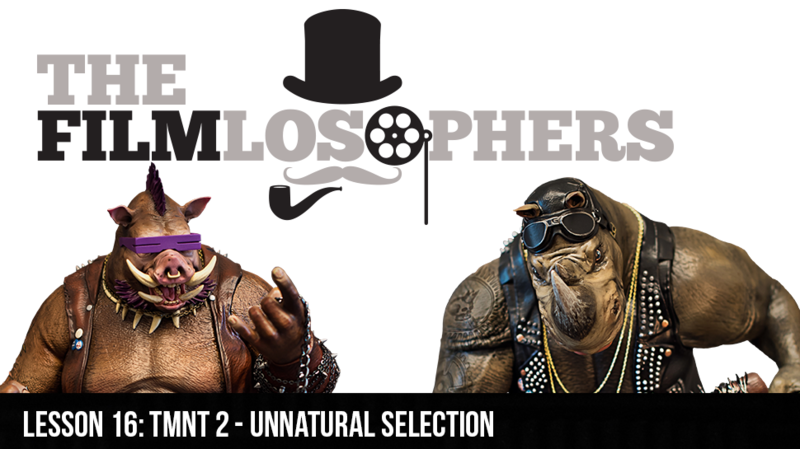 The Filmlosophers, Eddie Villanueva and Chad Riley, engage in a healthy debate over Teenage Mutant Ninja Turtles II: Out of the Shadows (2016). What worked, what didn’t, and how were the new character introductions for Bebop, Rocksteady, Baxter Stockman and Krang? Other news items discussed include Wizard World Comic Con Sacramento, new film synopses for Doctor Strange (2016), Guardians of the Galaxy Vol. 2 (2017) and Justice League (2017), as well as Bryan Cranston casting news from the new Power Rangers (2017) film.